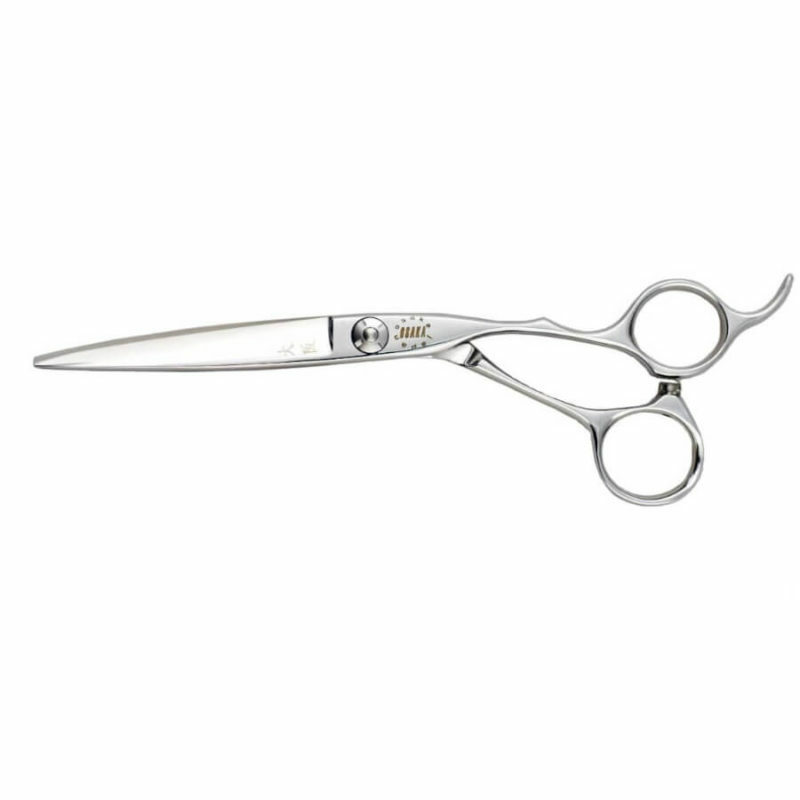 • Weight mainly focused on the handle to allow more control when precision cutting. • Crafted from famous japanese VG-10 Cobalt and 100% made in Japan, Seki Region. 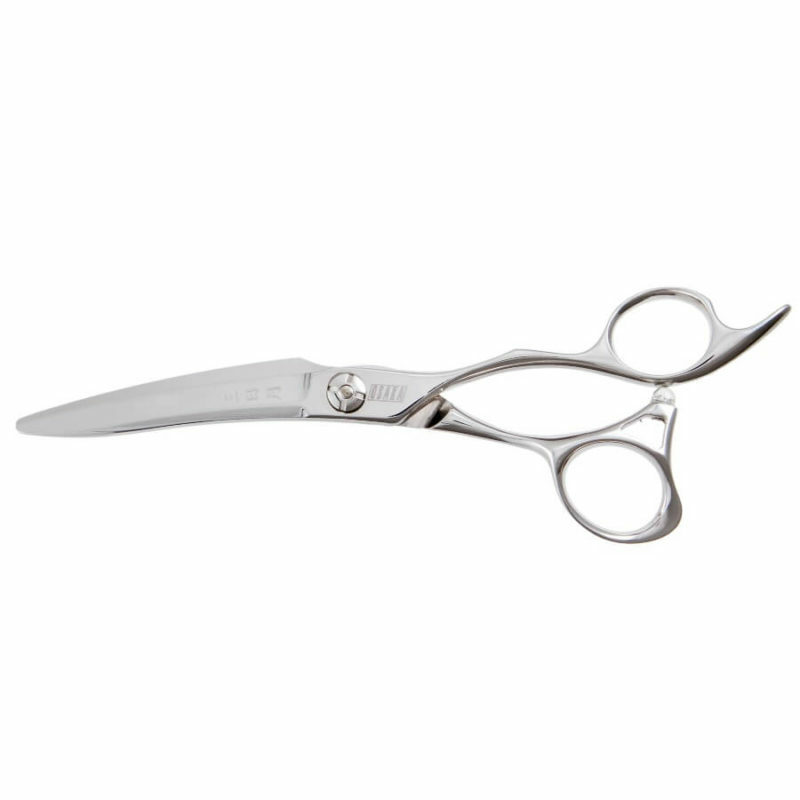 • Super ergonomic handle with the thumbhole twisted in order to increase comfort and cutting pleasure. 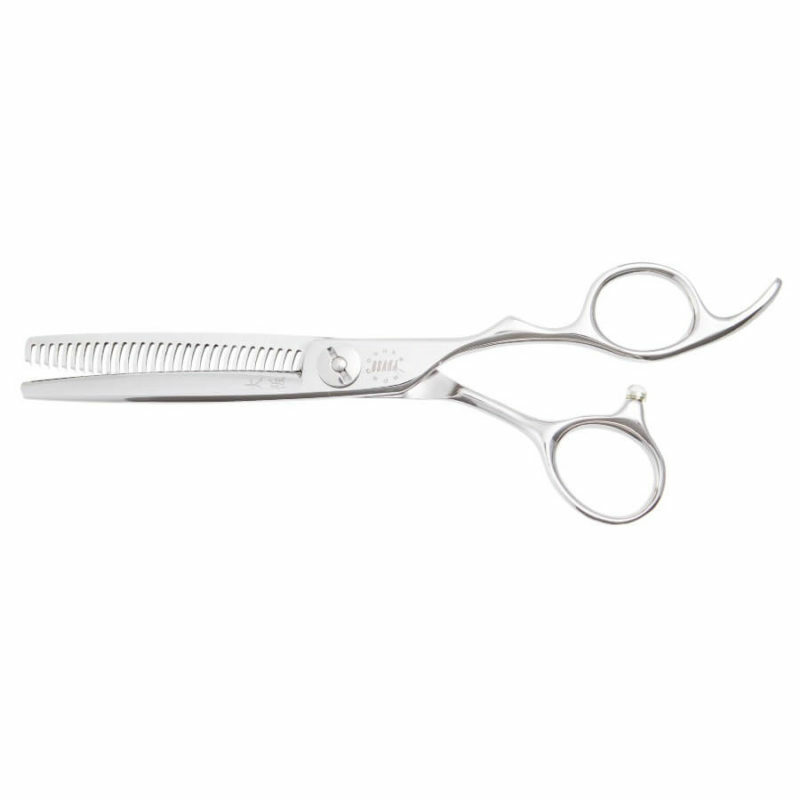 • Curved blade in order to prevent muscular disorder and bizarre wrist angles. 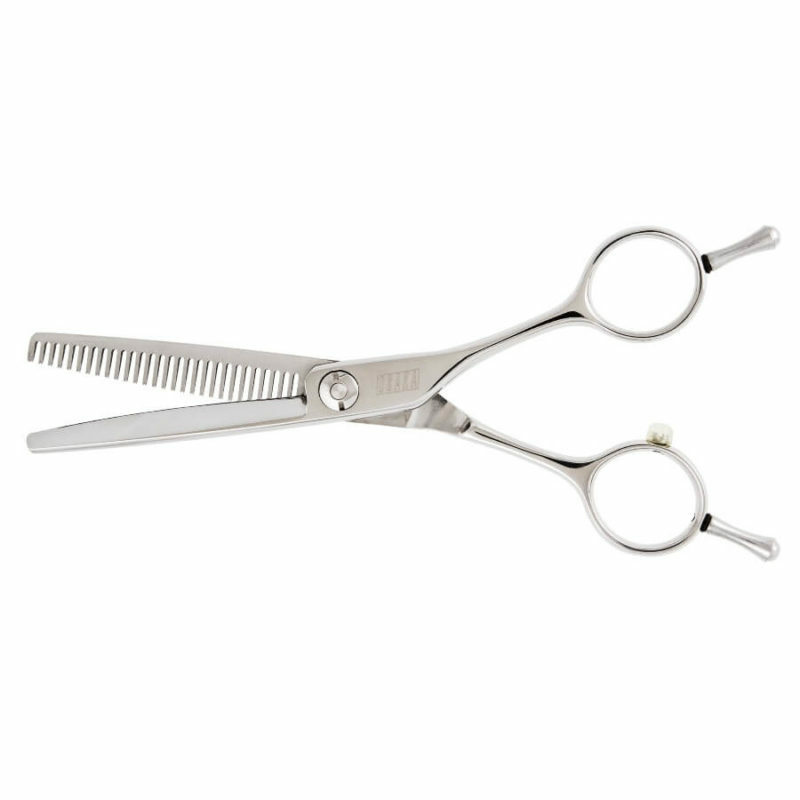 • Designed for point cutting, fringe cut, around the ear cut, scissors over comb.